When it comes to the housing conversation, what type of housing and where it goes is imperative because we’re in a crisis. Which is why it is not only refreshing but exciting to see a dense, contemporary housing development geared toward providing assisted living to our seniors attempting to go up in DTLB on what remains a small surface parking lot. 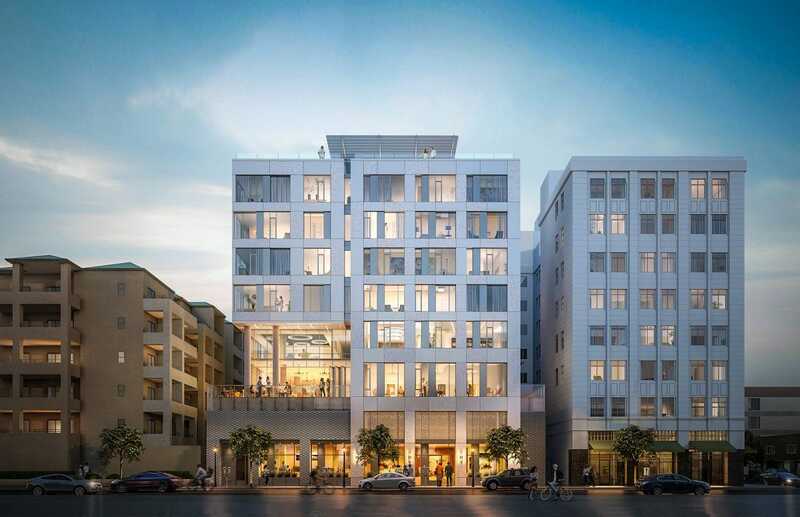 The 10-story proposal—with two stories created on rooftop for larger units—at 810 Pine Ave. will be home to 78 units on a plot that is only a third of an acre, creating a dense development that will have definitively lowered costs for its 300 to 600 sq. ft. units. Additionally, 70 parking spaces will be attached to the building. Perhaps most refreshing is the fact that the design is one of the more welcoming proposals (especially considering the recent slew of other developments that lack both boldness and interest). Clean lines with a perforated metal panel-clad façade, KTGY claims that healthy use of glazing “creates a light-filled atmosphere” while two areas—a street level “grand lobby” and second level outdoor terrace—will provide tenants with ample social space. The parcel of land was sold in 2013 for $4.7M.